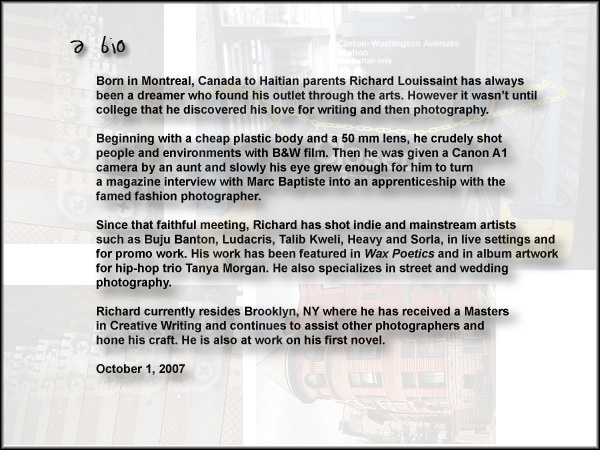 I am writing to you on behalf of Haiti Cultural Exchange, a cultural non-profit group based in Brooklyn. I wanted to know if you would consider attending and/or advertising our upcoming film festival? Please see media alert below. Thanks in advance for your consideration. A free festival of Haitian film. November 18, 6-10 PM and November 19-20, 12-9 PM. WHAT: Haiti Cultural Exchange invites the community to a 3-day weekend festival to celebrate the complexities of Haitian culture and society. An Opening Reception at the kicks off the weekend at the Brooklyn Museum, and is followed by 2 days of film screenings. This film festival will bring the vibrant Haitian culture to Downtown Brooklyn! The HCX | Haiti Film Fest is an event for anyone and everyone interested in Haitian culture and film. The films are interesting, diverse, and provocative and present the Haitian culture from a multitude of perspectives! This film festival will include films from contemporary Haitian filmmakers, films about Haiti’s Diaspora, as well as films from the beginning of Haiti’s presence on-screen. Haitian Music Legendary Haitian music group Orchestre Septentrional. Film Screening of “When the Drum is Beating,” a 52-minute documentary following the lives of Orchestre Septentrional. Film Screening and Discussions 12 films on topics varying from everyday Haitian lives, the earthquake’s aftermath, politics, zombies and more, followed by conversations with some of the filmmakers. BACKGROUND: Haiti Cultural Exchange (HCX) was founded to develop, present and promote the cultural expressions of the Haitian people.HCX seeks to raise awareness of social issues and foster cultural understanding and appreciation through programs in the arts, education and public affairs. For more information about Haiti Cultural Exchange, please visitwww.haiticulturalx.org.